This year, more than ever, I had been looking forward to songbird-nesting season. The reason? Last spring, my Washington, D.C., yard became one of more than 100 study sites in a three-year research project to investigate how nonnative trees in cities and suburbs affect the availability of food for birds during the breeding season. The research focuses on the Carolina chickadee, “a common backyard species that, like most birds, feeds insects to its young,” says Desiree Narango, the University of Delaware and Smithsonian Migratory Bird Center (SMBC) doctoral student who is conducting the project with help from a team of field assistants. A Carolina chickadee carries a caterpillar to feed its nestlings. Ninety-six percent of terrestrial birds rear their young on insects, and caterpillars are a particularly important food source. Photo by Doug Tallamy. Because native insects did not evolve with nonnative plants, most of them lack the ability to overcome the plants’ chemical defenses so cannot eat them. Caterpillars, a particularly important food source for birds, are especially picky about what they feed on. Like the famous monarch butterfly larva, which must have milkweed to survive, more than 90 percent of moth and butterfly caterpillars eat only particular native plants or groups of plants. 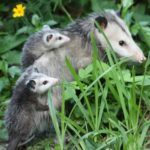 To convince homeowners to plant more of these insect- (and bird-) friendly natives, “we need to put numbers on the consequences of landscaping with nonnative plants,” Tallamy says. Three years ago, he and SMBC head Peter Marra received a National Science Foundation grant to do just that and hired Narango to carry out the project. She works through the Smithsonian’s Neighborhood Nestwatch program, a 15-year-old citizen-science effort that enlists volunteers to record observations about nesting birds in their yards. An inexpensive PVC-pipe birdhouse attracts chickadees by mimicking a natural tree cavity. Photo by K. Oswald. Last March, at the start of the project’s second field season, Narango installed a homemade PVC-pipe birdhouse—which mimics a natural tree cavity—in a dogwood tree in my backyard. By mid-April, a pair of chickadees had settled in and produced six tiny, speckled eggs that hatched two weeks later. While the parents were busy feeding their hungry offspring, Narango and her team kept busy observing where the birds foraged and what they were feeding their young. The biologists also quantified the amount of native and nonnative vegetation within the birds’ territory and counted the number and kinds of insects on these plants. At some of the 55 sites where chickadees produced nests last spring—including mine—Narango and her colleagues also mist netted and color banded birds (so they could be individually identified and observed from a distance), took blood, claw and feather samples (which will be analyzed for isotopes showing what the animals were eating) and video recorded adults feeding their hatchlings. It was great fun to watch these biologists at work without having to leave the comfort of my home. Desiree Narango (foreground) bands a chickadee in a Washington, D.C., backyard. Photo by Laura Tangley. 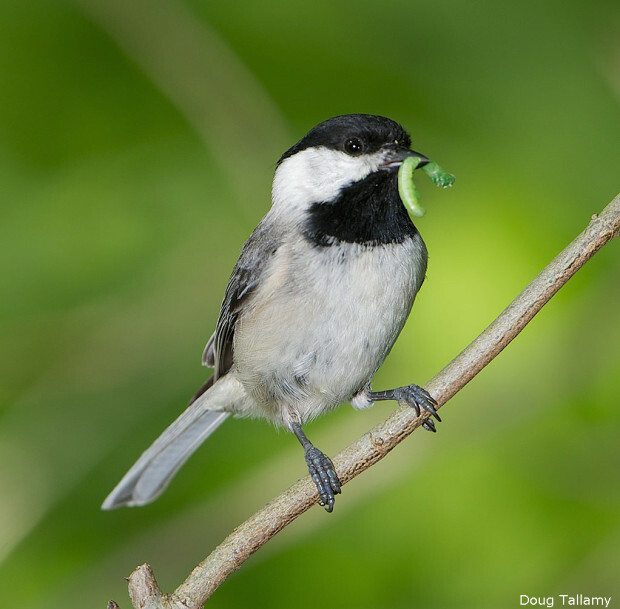 “Chickadees prefer to forage on native trees, overwhelmingly so,” Narango says. “If you have a lot of trees that are not native,” she adds, “to the birds, it’s almost as if there are no trees at all.” For evidence, check out the map, below, showing where chickadees foraged in my yard. This map shows the relative amount of time chickadees spent foraging in different tree species in and around a Washington, D.C. yard. Ignoring nonnatives close to the nest—yellow star—the birds preferred to fly farther to natives such as American elm, black cherry and oak. Map created using ArcGIS® software by Esri. This year, Narango’s team is monitoring 156 sites with chickadee nest boxes, including mine. As of mid-April, “we have about 40 pairs building nests all over D.C., Maryland and Virginia,” she says. But not in my yard—where I’ve seen no signs of chickadee-nesting activity. In fact, I’ve not seen or heard a single Carolina chickadee since last year’s clutch fledged in May. Narango tells me to hold onto my nest box and hope for better luck next year. “There are several yards where we got a nest in 2013 but no activity in 2014,” she says. “Those same yards are getting nests again this year.” She agrees it’s possible that one or both of my site’s parent birds perished since last spring, and it could take time for young chickadees to disperse into territories that are newly available, especially in urban areas that may offer lower-quality habitat. “It’s a tough world out there for a tiny bird,” Narango adds. 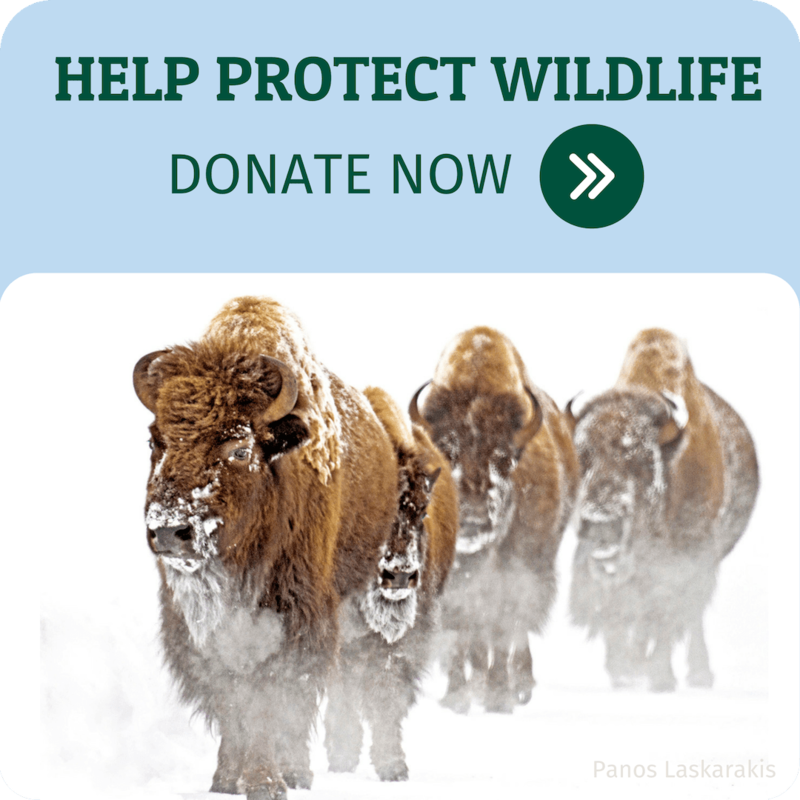 Help songbirds and other native wildlife by becoming a wildlife gardener.